2nd floor, en-suite bath/shower, rear facing no harbour view, standard double bed. This is an attic style room with a sloping ceiling across one side. Maximum occupancy for this room is 2 people. 1st floor, en-suite shower, rear facing no harbour view, standard double bed. Maximum occupancy for this room is 2 people. 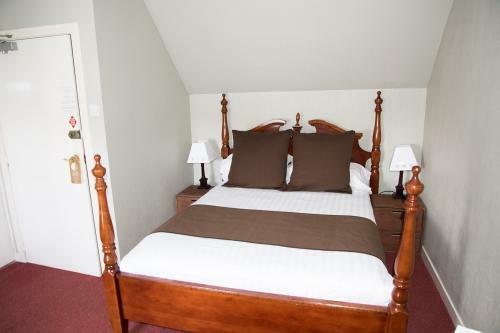 Small 1st floor room, en-suite shower, harbour view, standard single bed. Maximum occupancy is one person. 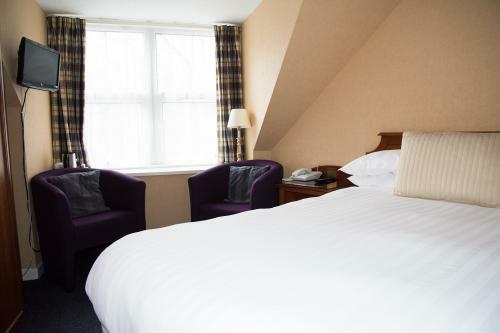 1st floor, en-suite bath and shower, lovely harbour view, king size four poster bed. Maximum occupancy for this room is 2 people. 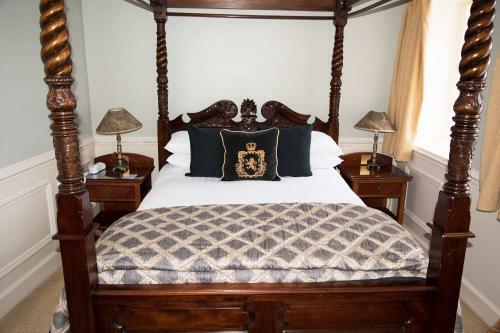 2nd floor, en-suite bath or shower, rear facing - no harbour view , king size four poster bed. Maximum occupancy for this room is 2 people. 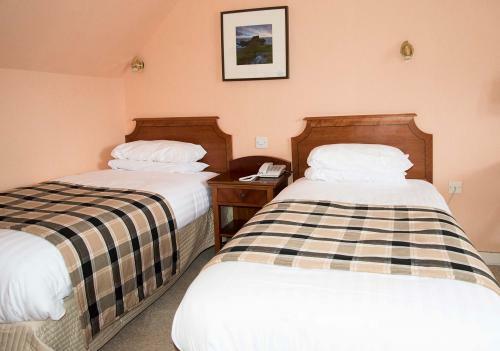 Twin En-suite Room Ground Floor in annexe building,50m from the main hotel. Restricted view. 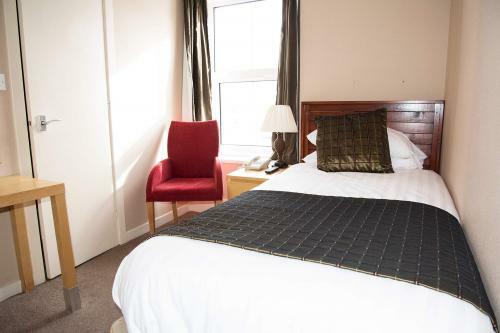 Ground floor, en-suite bath/shower, restricted harbour view, standard single beds. 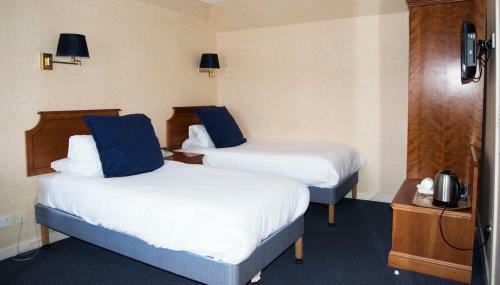 Rooms are situated in the annexe approx 50m from the main hotel. Please note that there is no WIFI in this building. Maximum occupancy for this room is 2 people. Ground Floor, en-suite shower, restricted view, two single beds. 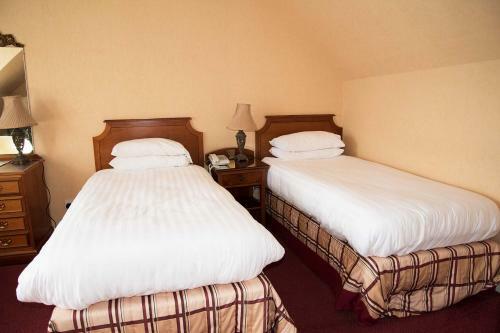 This room is U-shaped with one bed either side and the en-suite in the middle. Maximum occupancy for this room is 2 people. 2nd floor, en-suite bath/shower, small single room ,rear facing - no harbour view. Please note this room is above the kitchen.This room maximum occupancy is 1 person. Small single 2nd floor room, en-suite, rear facing - no harbour view. Please note this room is above the kitchenMaximum occupancy is 1 person. 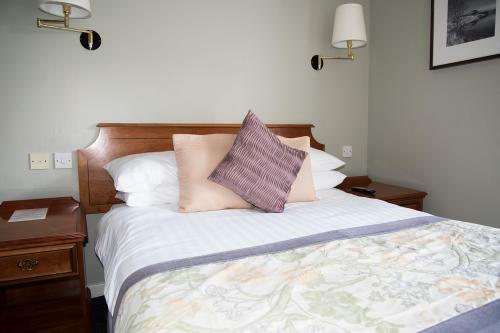 1st or 2nd floor, en-suite bath or shower, harbour view, 1 standard sized double bed. Maximum occupancy for this room is 2 people. 2nd floor, en-suite bath/shower, harbour view, 2 single beds . Maximum occupancy for this room is 2 people. 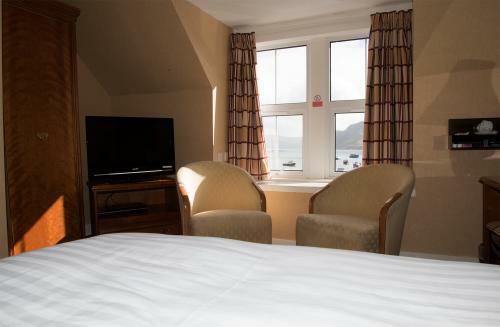 Ground floor, en-suite shower, restricted harbour view, standard size four poster double bed. Maximum occupancy for this room is 2 people. Ground floor, en-suite bath/shower, restricted harbour view, 2 single beds. Maximum occupancy for this room is 2 people. 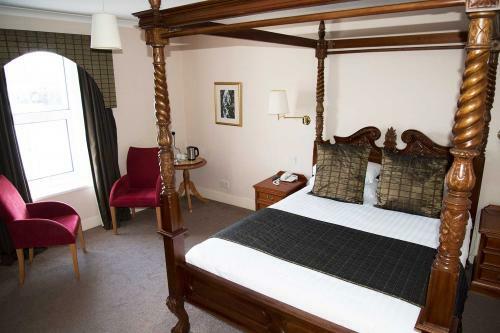 Four-poster double bed on the second floor of the hotel with en-suite shower room. 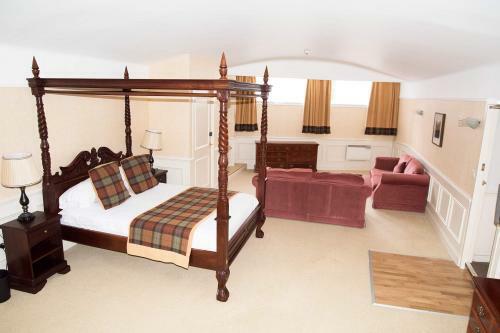 This room also has a single bed in it which is available for a child (16 years or under). This room is rear facing and has no view. Maximum occupancy for this room is 3 people.